Trading, especially to the unaware, is generally intimidating. Some would even go as far to say that it’s frightening! Over time we’ve heard it all: ‘participating in the market is a sure-fire way to lose your shirt’, ‘the market is rigged’, ‘it’s gambling’ – the list is endless! So why, if all the above is true, are there traders that seem to almost effortlessly pull money out of the markets on a consistent basis? Is it luck, insider knowledge or were they just born with a trading gift? Years ago, we had the opportunity to sit down with a successful trader from the UK, England. During our chat, he said something we’ll never forget: ‘trading, after time, should be as easy as making a good cup of tea’. So, what is it that sets him apart from those who struggle? His response to this question was humble: ‘education and psychology’. He spent time learning what makes him tick, and invested 1000s of hours into studying different methods. In our experience, we believe that there are four core characteristics that make a successful trader: a solid education, patience, discipline and persistence. This is a crucial element. Without it, you will fail. It is as simple as that. 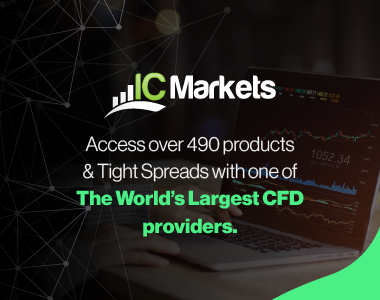 There is a plethora of trading systems to choose from, as well as online trading schools and dedicated forums which can easily overwhelm. If you’re looking to join an online trading school, do your research. Does the school back up what it claims, are there results to prove this? Also, what are other students saying about the service. Ultimately, a good school will offer unlimited access and provide continual support through your journey. A consistently successful trader has paid this price. Some are self-taught, learning from online forums and spending countless hours in front of the charts, while others have paid for a mentor in an attempt to shorten the learning curve. Either way, commitment to learning the art of trading is crucial. Some would even say you need to be obsessed – a ‘do or die attitude’. Patience is one of, if not the most important, trait a trader needs to possess. The majority of traders, especially those new to the industry, are what we like to call: ‘eager beavers’. They enter into setups that are not considered valid (according to their trading plan [assuming they have one]) which, quite simply, is reckless. Successful traders wait for the right setup to form before pulling the trigger, exercising patience. This is why trading is, or should be, relatively repetitious once consistency has been achieved. Tip: We know that trying to avoid taking those mediocre trades is easier said than done, so here’s a handy tip that has helped traders over the years. Over the course of your next ten trades, stick to your plan religiously. That’s it. Just ten trades! Only trade setups you have recorded in your trading plan. 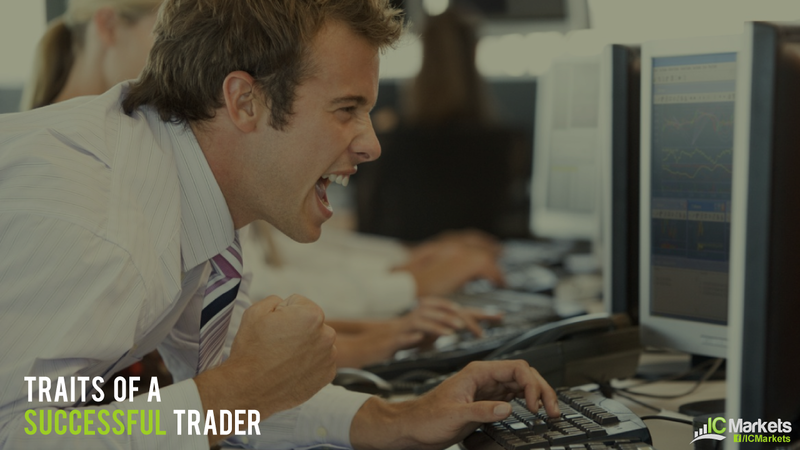 By completing this task, you’ll have accomplished far more than most traders have. Try to rinse and repeat this process. Soon it’ll become second nature. Trade the plan – plan the trade. There’s no two ways about it. You have to be disciplined to be a trader. Building a trading methodology is relatively straightforward, albeit extremely time consuming. Having the discipline to follow and not second guess your method, however, is not. Having the discipline to honour your stops, to not overtrade and to not use leverage in excess is easy in hindsight, but difficult for a lot of traders in reality. Successful traders recognise that in order to trade well they have to relentlessly follow their rules. Not doing so will likely lead to a faded account! Tip: Follow your plan and do NOT deviate. Think about it like this… If you were managing a million dollars for a group of investors, would you deviate from your plan that’s proven over time to make money? Highly unlikely! Think like a professional and have the discipline to stick to your rules. The definition of persistence is: ‘the act of persisting or persevering; continuing or repeating behaviour’. Learning to overcome obstacles is key not only this business, but in any business. A successful trader knows that losses are inevitable. Persevering after a losing streak is difficult, even for the most experienced. Successful traders also understand that they’ll always be students of the game. Persevering to reach new levels of understanding, be it psychologically or technically, should always be a priority. It’s said that: ‘everything in life that is worth achieving has a price that must be paid’. Consistently successful traders are aware that sometimes they will second-guess their method, get a bad fill, miss trades, undergo losing streaks and suffer power cuts at just the wrong time. All of these, and more, can drain a trader, hence why traders need to possess a healthy dose of perseverance. Tip: Accepting that there will be pitfalls along the way and overcoming these adversities is key!